We left Tel Aviv and travelled north along the "way of the sea" to Atlit. Atlit was established as a British internment camp for Jewish refugees who were caught trying to immigrate to Palestine during the British Mandate. We toured the grounds and facilities which included barracks, large disinfectant machinery and showers. The refugees were held there until they could be admitted to Palestine or deported to Cyprus. There was also a mikveh, introduced after the British left, when the facility was used by Israel for the continuing flow of refugees. We toured a ship similar to the ones that could carry approximately 500 refugees to the Palestinian territory. We saw the extremely cramped bunks needed to accommodate the enormous demand. We found the Atlit tour to be fascinating. 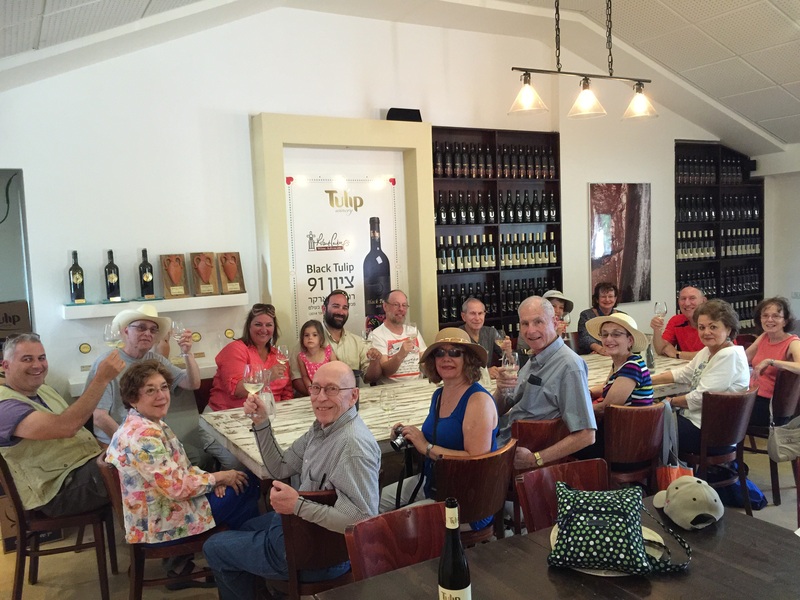 Next we heard the history of the Tulip Boutique Winery at Park Tikvah and went wine tasting (four samples - good stuff - hiccup!). Of interest, they employ adults with special needs and donate a part of their profits. Finally, we were given a tour of Kibbutz Hanaton. It has an emphasis on Jewish pluralism and diversity. It is a growing community, currently with about 70 families, and a waiting list. The Hebrew word we learned today was sababah, which means "cool." Our day today was somewhere between sababah and great.